The Foundation of La Jolla High School is a 501(c)(3) non-profit established in 1983 to bridge the gap between what La Jolla High School receives each year from the San Diego Unified School District and what it actually needs to fund the top-ranked public education that is offered to ALL LJHS students. 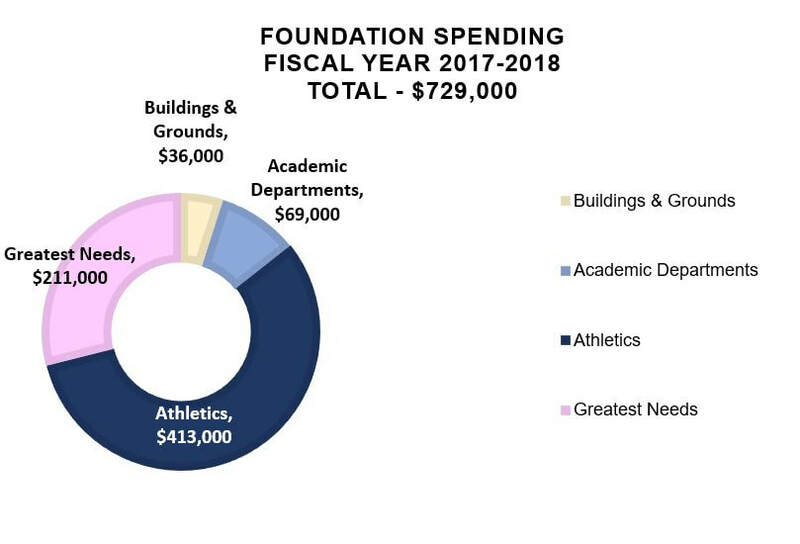 Approximately two-thirds of all donations received by the Foundation are “restricted”, which means they are earmarked by the donors for a specific academic department, athletic team or campus improvement project. The balance of the raised funds are “unrestricted” or “general” funds, which come from our annual “Quest for Success” campaign in the fall, as well as various other fundraising events held throughout the year. Unrestricted donations are critical to the school’s success because they give the administration a flexible source of funds to meet unexpected needs for which no other funding is available, particularly in the area of academics. Partial or complete funding of: College Admissions Specialist; Additional Security Guard; Advisors for Associated Student Government; Conditioning Coach; Athletic Director; We End Violence Program; School Dance Safety Equipment; Advisors for Music/Band, Journalism, Yearbook, Drama; Science Team; Supplemental Classroom Supplies and Materials; First Aid/Training Supplies; Teacher Professional Development (including AVID) and Journalism. Scientific Probeware for field studies; Textbooks; Library/Class Novels; Turn-It-In Software; Science Classroom Lab Supplies and Equipment; Construction Tech (Woodshop) Safety Equipment; Science Olympiad; Biomedical Pathways Internships; Academic Tournament Fees; Theater Script Rights; Robotics Team; Marching Band Equipment and Expenses. Uniforms; Practice Gear; Equipment and Supplies; Tournament Fees; Facility Rentals; Coaches and Referees/Officials Fees; Team Travel. General Campus Maintenance and Improvements; Additional Landscaping; Athletic Facility Upgrades and Equipment; Auditorium Marquee; Tennis Court Improvements; Windscreens; Stadium Speakers; Fence Repair. Major fundraisers for unrestricted funds: “Quest for Success” Annual Campaign ($156k); Dine Out ($5k); Spring Gala ($58k); Golf Tournament ($17k); Amazon Smile/Benefits Mobile ($2k). Music/Marching Band ($20k); Science ($17k); Robotics ($5k); Academic League ($1k); Languages ($1k); Miscellaneous/Other Donations ($2k). LJHS currently fields boys and girls Varsity and JV teams in all 27 CIF sports. Not a single sport or team is fully funded by the District, and in some cases the District provides no funding at all. As a result, each team’s expenses must be covered through a combination of donations and fundraising. 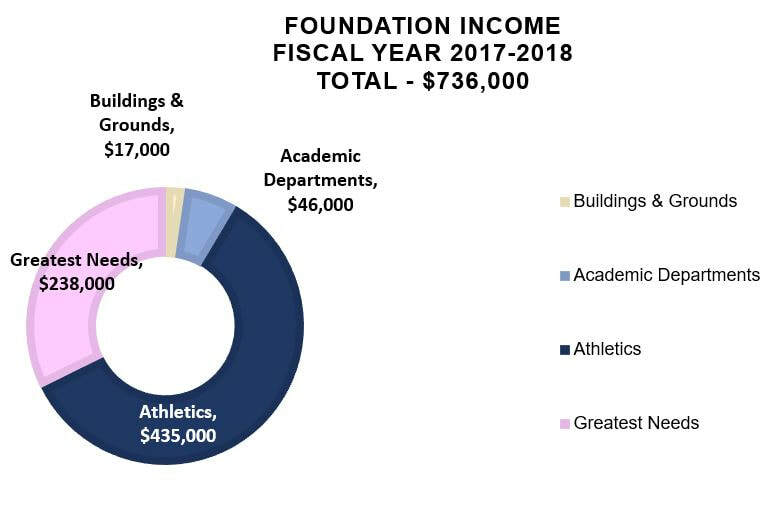 In 2017-2018, specific donations and fundraising for all sports totaled $435,000. Donations are directed to general campus maintenance or specific projects such as the Auditorium ($14k), Athletic Facilities ($2k) and other miscellaneous areas ($1k). For your convenience, you may download a copy of our Annual Report 2017-2018 Foundation of La Jolla High School by clicking on the file below.